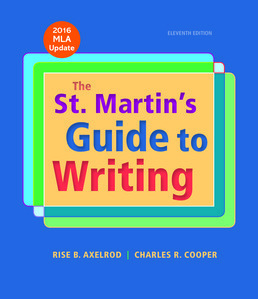 Regardless of your major, get the support you need for your first composition course with St. Martin's Guide to Writing with 2016 MLA Update. Now containing the latest MLA updates, this text offers step-by-step writing guides to nine different genres. Receive help through the whole process from sentence strategies. to thoughtful revision strategies. Make your writing your own with these tips and resources. 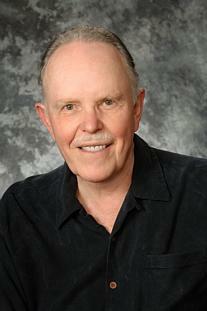 Charles R. Cooper an emeritus professor at the University of California, San Diego served as coordinator of the Third College (now Thurgood Marshall College) Composition Program at the University of California, San Diego, and co-director of the San Diego Writing Project, one of the National Writing Project Centers. He advised the National Assessment of Educational Progress writing study and coordinated the development of California's first statewide writing assessment. He taught at the University of California, Riverside; the State University of New York at Buffalo; and the University of California, San Diego. 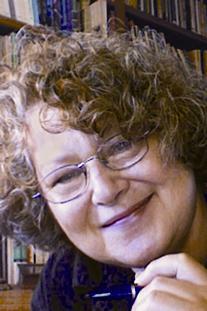 Co-editor, with Lee Odell, of Evaluating Writing and Research on Composing: Points of Departure, and he was co-author, with Rise Axelrod, of the best-selling textbooks The St. Martin's Guide to Writing and The Concise St. Martin's Guide to Writing, as well as Reading Critically, Writing Well.